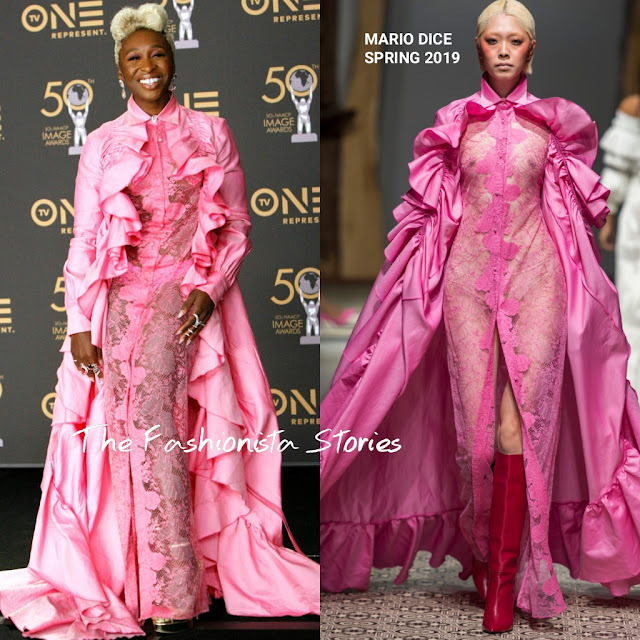 Wearing MARIO DICE SPRING 2019, Cynthia Erivo and Rutina Wesley attended the 50th NAACP Image Awards at the Dolby Theatre in Hollywood, California. Cynthia Erivo is known for wearing difficult pieces on the carpet and this look was no different. Her pink layered dress featured a cascading ruffle cape and a center front split lace dress underneath. There is definitely a lot going on here and I can't say that I am loving it but kudos to her for always stepping outside the box. COOMI jewelry rounded out her look. 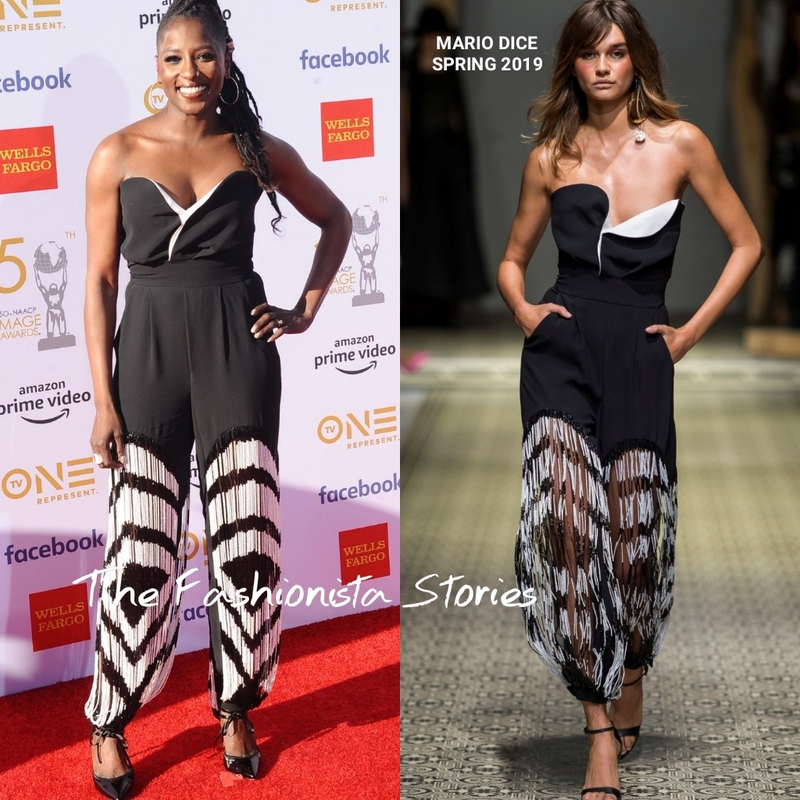 Rutina Wesley wore my favorite piece from this collection, a strapless black & white panel jumpsuit, with semi-sheer fringe legs. I actually prefer this more on the model than on Rutina. The top is unflattering on her and the pants is sitting too high on the waist.